For a month now, we’ve been without any news from Dr Al Shaer, former Palestinian Vice Prime Minister, abducted from his home in Nablus in the night of April 18th to 19th. Nobody knows where he is being kept. All we know is that he should face Israeli military judges this Thursday April, 23rd. Since 2006, Dr Al Shaer has been one of the few most constant partners in his support of a Bilingual Experimental Programme of education to the non-violent approach, in Palestinian high-schools, held in high esteem by all those who know him in the West Bank. 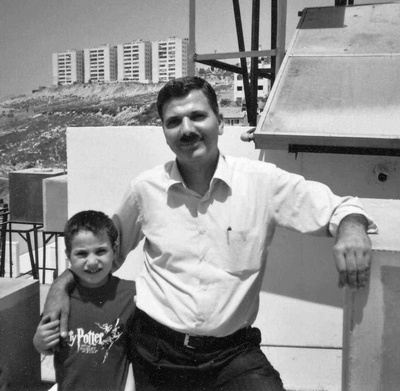 He was first abducted in August 2006, when he was Minister of Education in the 11th Palestinian government, sent back to his family after 40 days of detention, and re-abducted on May 24th, 2007, without any more “motives” than in 2006. A campaign for his liberation was then launched, with the support of 22 Nobel Laureates and 18 Members of the European Parliament. Dr Al Shaer was to be set free after 54 days of arbitrary detention, and his arrest was recognized as a “mistake” in Israel. 8 Nobel Peace Laureates are presently engaged in the Open the Doors Campaign (Bishop Belo, Shirin Ebadi, John Hume, Mairead Maguire, Adolfo Perez Esquivel, Archbishop Tutu, Betty Williams, Jody Williams) and 36 other Nobel Laureates (among whom Professor Baruj Benacerraf, Torsten Wiesel, Roald Hoffmann, Robert Huber, Sir Harold Kroto, Yuan T. Lee, Zhores Alferov, Brian Josephson, Jack Steinberger, James Mirrlees, Elfriede Jelinek, Wole Soyinka), with 162 Members of the European Parliament too. Don’t these principles apply to Israel and the Palestinian territories? as well as General Morillon, Harlem Désir, Elisabeth Morin, Margie Sudre, Francis Wurtz (France), Véronique de Keyser (Belgium), Daniel Cohn-Bendit (Germany), and authors Yasmina Khadra, Noam Chomsky, David Grossman, Michel Rocard (former French PM).